1. Combine the crepe ingredients in a bowl and whisk until batter is smooth. (Add a little more milk if the batter needs to be thinner). 2. Pour 2.5tbsp of batter onto the centre of the pan while swirling pan to cover the base and create a thin crepe. When dark in colour and set to the touch, flip. 3. Remove when cooked and repeat with remaining batter. 4. 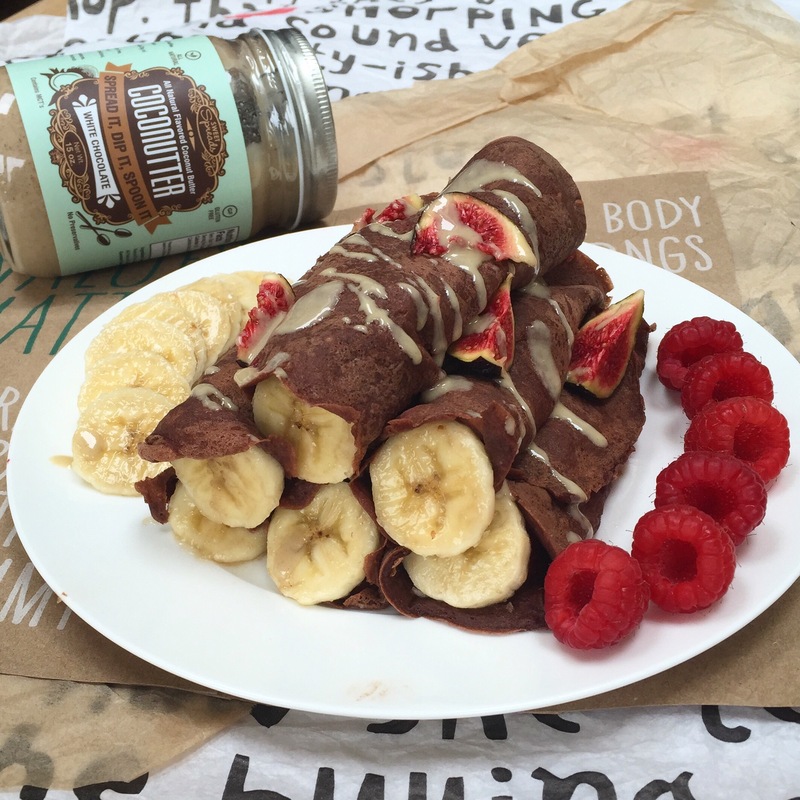 While crepes are frying, prepare the sliced bananas and melted peanut butter. 5. 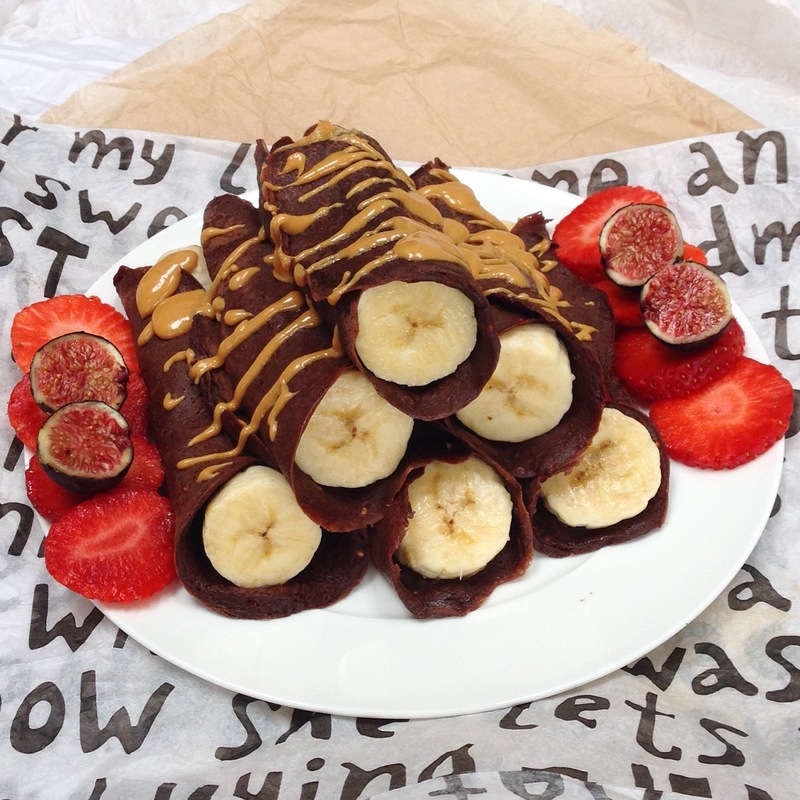 Fill each crepe with 1/2 a banana and fold over. 6. Drizzle melted PB over the crepes and top with fresh fruits.